Attempting to sign into a new server using a 2-factor authenticated github account. Successfully enter login name and password. Screen then moves to the next screen asking for the two-factor authentication password. Before I even have a chance to input the password the whole process errors and the screen immediately states connection to server failure. I should be able to enter my two-factor password and login successfully. This issue is not present on the 2.14.7 client. I couldn't reproduce it with 2.15.1. @LostCatalyst, are you using multiple servers? @tassoevan , yes. We have multiple servers. We are hosting RocketChat and MongoDB in OpenShift with minimum of 3 replicas each. 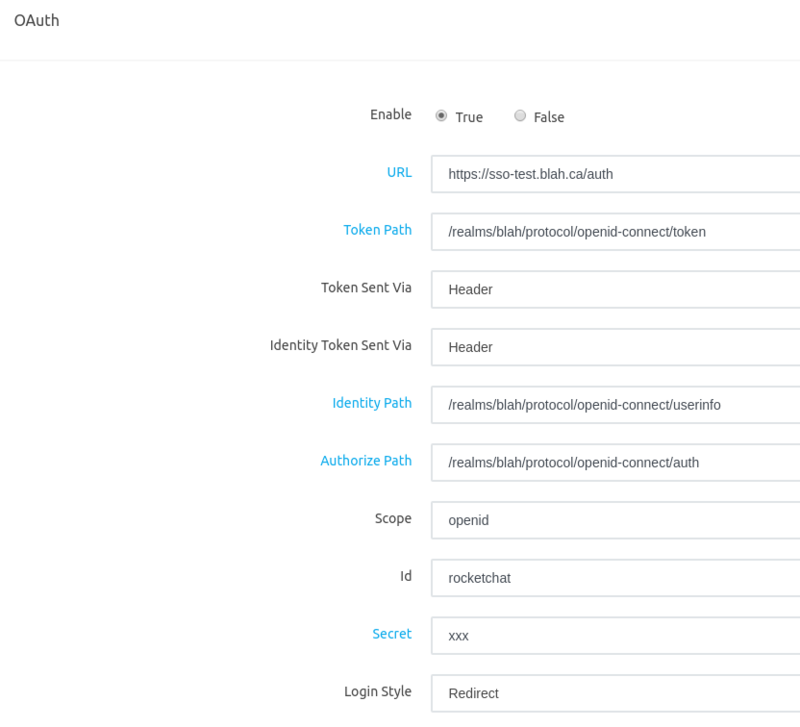 We are also using Custom OAuth configuration to integrate with Keycloak which in turn integrates with GitHub. I believe so too, I'm having the same issue. I'm using Keycloak in combination with 2FA, when changing the Login Style from Redirect to Popup it works again. My Rocketchat is a single server setup running in docker.